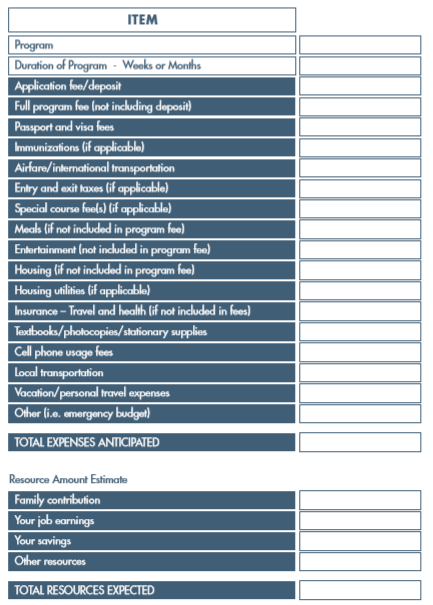 Based on LOTS of experience with our international students and their encounters with budgeting, we at TALK created a study abroad budget template, which includes both the major and the minor costs of studying abroad. You can sort costs into categories: tuition, food, souvenirs, activities, etc. This budget template will guide you as you create a budget based on your choice of program, your school, and your pocketbook. This is possibly the first time you will have to create a budget in your adult life and it is a budget that is important. If you get it right, your time abroad will not be a stressful exercise in controlling costs and staving off debt. And, of course, these costs add up to an incredible investment in your future career and life success. We know how easy it is to blow through money when you travel. The trick is not to overlook those expenses which don’t seem relevant. They do – surprise! – add up. 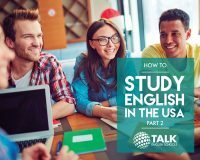 As a future TALK English Schools student, we want to make sure that you make a fail-safe budget! With our template, you can sort costs into categories: tuition, food, souvenirs, activities, etc. By looking at each category, you can see where your money is really going. This will help you spend wisely and be able to aﬀord those little indulgences like travel, clothing, and gifts. Now that you have created a budget, start using it, even before you go. As you go about daily tasks, from transportation to school or work, snacks along the way, meeting up with friends for coffee, keep those receipts. At the end of each day, add up your costs. You’ll very soon realize that small expenditures that you wouldn’t have factored into your budget indeed amounts to quite a little sum of money across a whole month! By doing this, you can draw up a budget which factors in all those overlooked costs, and you will see what you need to tweak or update. Use your Excel sheet – another learning opportunity to get familiar with using a spreadsheet for budgets. Set aside an emergency cash float in your budget template. Pay attention to your expenditure once you are at your school. Keep an eye on your budget and if you are exceeding it, identify what costs you can cut – fancy coffee, perhaps? 😊 Reconfigure your budget and make changes to the budget template if you need to add other expenditure areas. Download now! Get our e-Guides series and use our Budget Template to create your personalized Study Abroad budget.